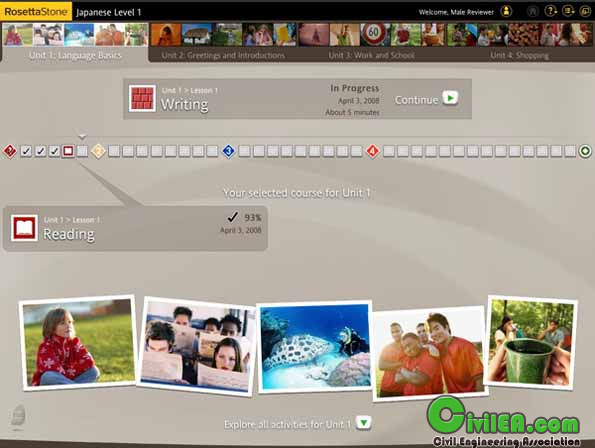 In this course includes the program Rosetta Stone 3.3.5 and levels of English (American) 1-2-3. 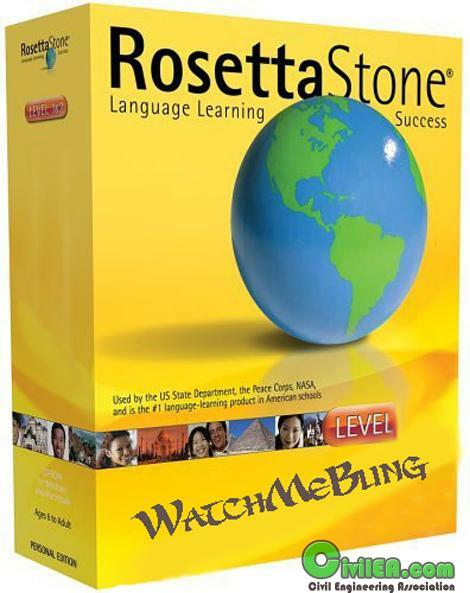 Rosetta Stone - No.1 in the world among linguistic software. Rosetta Stone is the most natural and native, and therefore the most effective way to study for a man of almost any foreign language. The company uses specially developed technology Dynamic Immersion - dynamic immersion. Run the main installation file RosettaStoneSetup.exe, after installation copy RosettaStoneVersion3.exe from folder Crack in a folder with the program. Do not update the program on the Internet and do not click on the registration, if the program you are asked. In the window of activation / registration, press the "Later" (Later). Open the Rosetta Stone Setup.dmg, run and install the program (script Update), after installation copy the file mdm.dat from folder Crack in the directory/Applications/Rosetta Stone Version 3.app/Contents/Resources (with the replacement of an existing file). Do not update the program from the network and not register/activate the program, with press queries always "Later" (Later). 1. Install the program "RosettaStoneSetup.exe" in the folder "Application"
2. Do not start the program after the installation. 3. Copy the crack "RosettaStoneVersion3.exe" in the installation folder (C:\Program Files\Rosetta Stone\Rosetta Stone Version 3). 4. Run the program and skip the registration by clicking on the "Register later". 7. Make / update updates when prompted, but has not registered and NOT ACTIVATE!